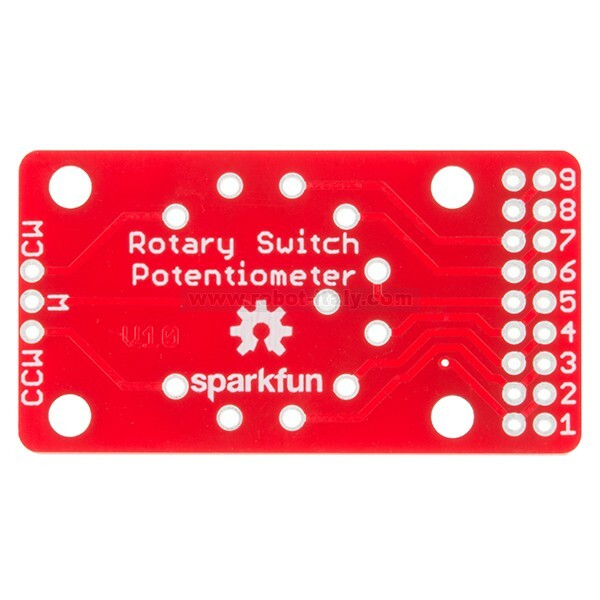 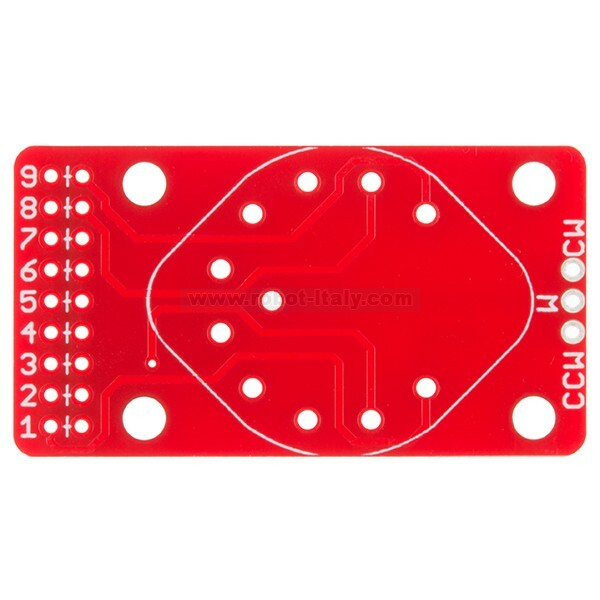 The SparkFun Rotary Switch Potentiometer Breakout is a small board the allows you to add resistors to a 10-position rotary switch, turning it into a potentiometer with 10 discrete steps. 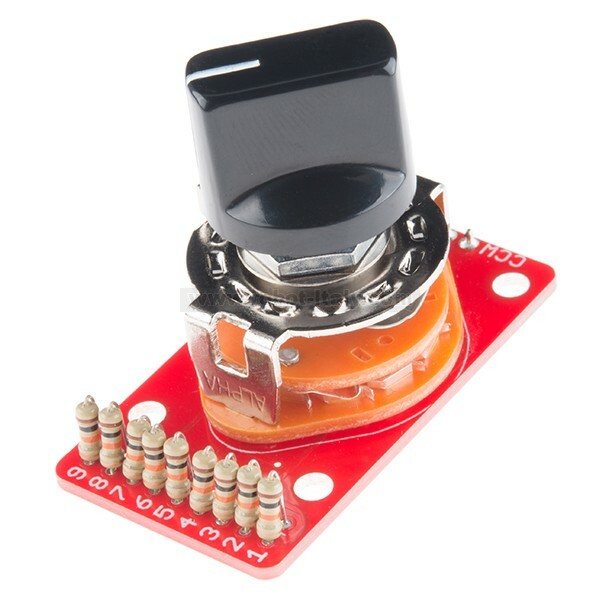 The SparkFun Rotary Switch Potentiometer Breakout is a small board the allows you to add resistors to a 10-position rotary switch, turning it into a potentiometer with 10 discrete steps. 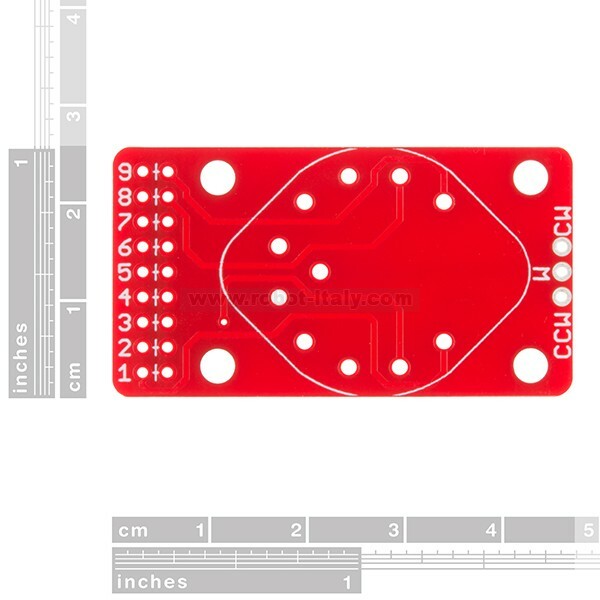 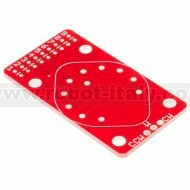 Multiple applications require potentiometers that are hard to find due to specific resistance values or custom tapers, the Rotary Switch Potentiometer board allows you to populate your own resistors to help match situations where ordinary parts aren’t available or suitable. Specific resistors can also be used in situations where you want distinct steps or selections, such as being able to consistently select to a value.